Nice palms and welcome to PalmTalk. I love seeing people grow palms where they aren’t that common in the landscape. Good luck with everything. Chamaerops should be almost bulletproof for you. I remember seeing them in front of some musem when I was last in DC. This is my first palm in ground I’ve ever raised so any tips are welcome! Also thanks for the good wishes I’ve been a long time spectator of the site and really like your palms as well sir! Yikes, I wouldn't call that minimal damage. The fronds all look dead in that last picture. 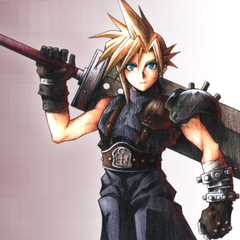 And the central spear looks dead also. Hope it pulls through for you, but it doesn't look promising. I think the plants delight guy says his dies back at temps under 10F but established ones come back in summer. Your best palm bests are needle palm, sabal minor then the hardy larger sabals like brazoria, louisiana, birmingham. Then Trachycarpus Fortunei and Sabal palmetto. These last 2 for sure need protecting in winter and the only 2 you can plant and maybe not protect are needle and minor. brazoria, louisiana, birmingham will only need protecting in 'arctic air' type events like the north just recently saw. I hope it pulls through for you. I’ve always wondered how hardy they truly are compared to the hardiest Trachycarpus species, some say they’re the same while others say Chamaerops is only hardy to zone 8a. I have one down here near Richmond that usually gets completely defoiliated but comes back from the trunks every Spring. 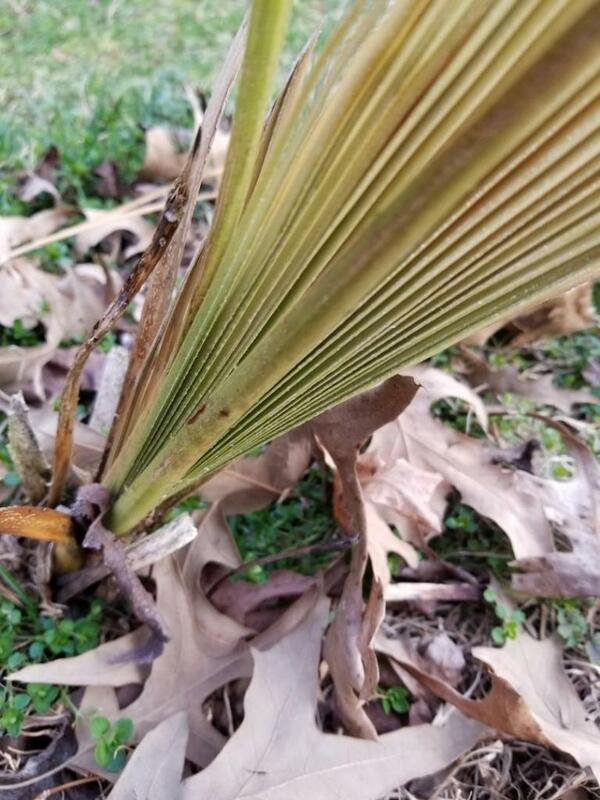 We only got down to 10°F so far and some of the lower fronds have died while the spear and newest fronds are still alive. 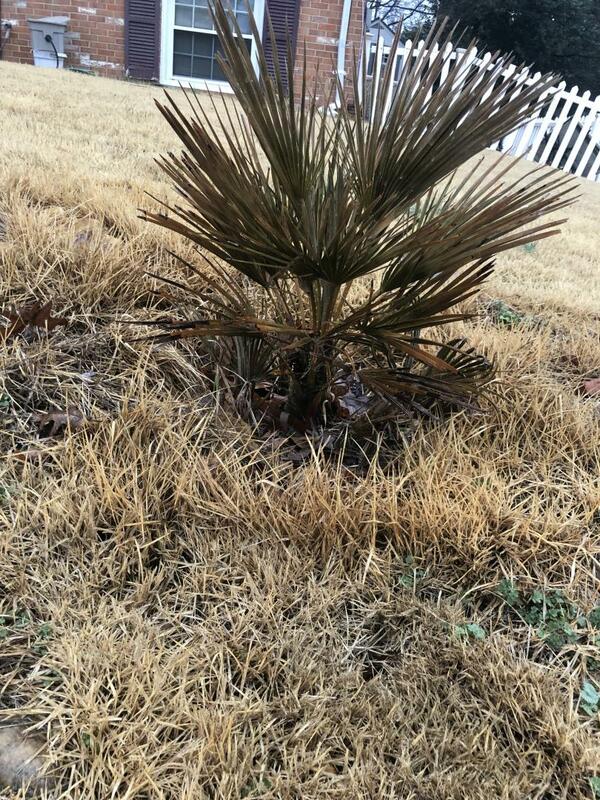 I might remove it this year and replace it with something else, I was thinking Saw Palmetto but I can't get the seeds to germinate! Yours might be dead, but you never know. 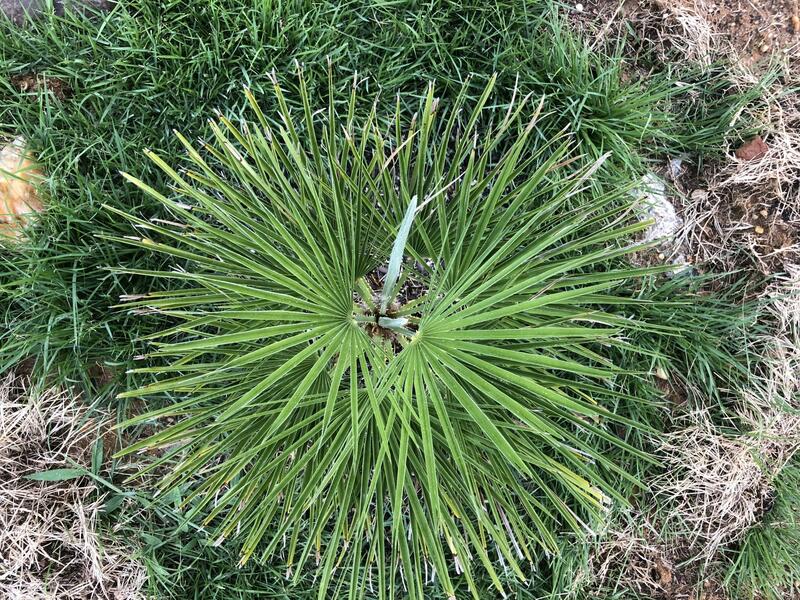 If I were you, I would plant a pretty hardy ecotype of Sabal minor (Arkansas, McCurtain, North Texas, Cherokee Alabama, or Northeast N.C.) those tend to be bulletproof in most parts of Virginia and get nice big fronds when mature, especially the Northeast N.C. ones. Welcome to the forum! @ExpandRe4lity1 A lot of damage. The weather forecast doesn't look great. Might want to spray the spear and crown area with copper fungicide at some point during the day. In the event the palm survives, it will be weak and susceptible to disease. I agree with @Josue Diaz and @PalmTreeDude... get some minors and some needles. They'll be around a lot longer than a Chammy. When I said Chamaerops was “almost bulletproof”, I meant that an established Chamaerops would probably survive but may die back in the winter. Also @ExpandRe4lity1it is always smart to plant palms in protected spots away from the wind. This is very important when growing palms in cooler regions. Your chamaerops looks dead. That is not minimal damage. These temperatures are too cold for chamaerops. Sabal minor would be better palm for your climate. I'm rooting for your palm but most likely is dead. without protect at that small size, it is a goner..., dang it! got so cold the lawn is brown! All you can do now is cut back and protect the center and see if it grows back. Keep trying and you'll find out what works. From what I can see now, it will likely die and the spear will probably pull in the Spring when things warm up. But still don't give up, palms can surprise you sometimes. If you are taking these photos from your phone and need a way to compress some in order to post them, if you are on Android, try an app called "Lit Photo" (I believe it might come up as "Photo Compress"). If you are on iPhone I know there are apps for it there as well. Warm season grass. As soon as the first frost comes it starts to turn brown. I still can't get used to it, and am not a big fan of it actually. I have seeded my entire back lawn in annual ryegrass to it doesn't look so pathetic. I can't grow cool season grasses in the summer. They they last till mid June until the heat nukes them, even in partial shade. Ok, thought that might be the case. Up here in the PNW the grass is greener in winter and dry and brown in summer, it's those Mediterranean summers. When you live in the NE your lawns are usually brown both summer and winter! I don't know much about the Northeast, but every time I've visited NY the yards have been very green both summer and winter (when snow was absent). Everywhere I've lived across the South (VA, NC, MS) the grass is green during the growing season and turns brown after the first hard freeze. I'm not sure what type of grass is common up there, but Bermuda grass is what I commonly see down here. As others have stated the palm might not make it, but only time will tell. It can take a few weeks for the full damage to become evident (I've seen this happen to Butia after an abnormally cold winter). I attempted a Chamaerops once and it died after the second winter. I haven't planted one in the ground since then, but I might try again sometime in the future. When I lived in Pennsylvania, the grass would be green year in the winter but become brown by July/August. 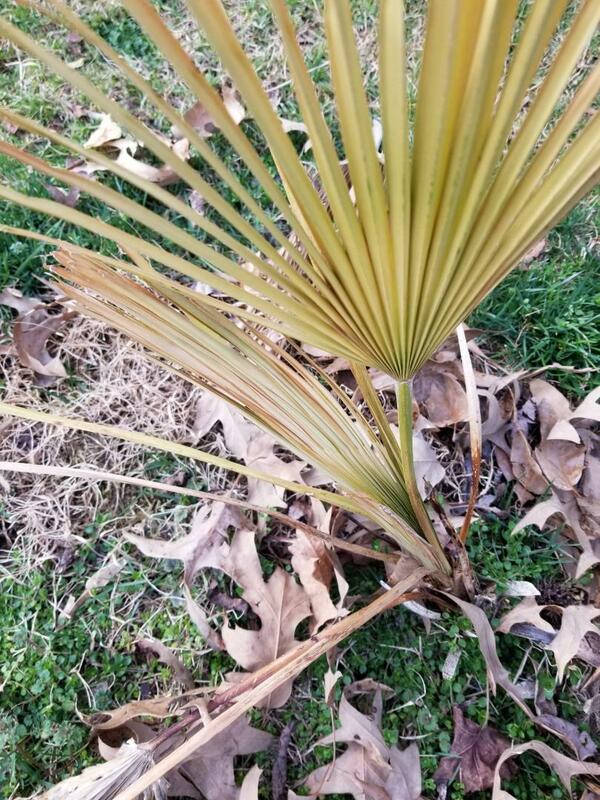 Here in NC we grow subtropical species of grass, which turn brown whenever we get our first frost but stay green throughout the growing season. Thanks I’ll look for one of those apps I’m on IPhone. Also should I have waited to apply c fungicide until the weather gets a little warmer? We used mixes of Fescue/BlueGrass usually. It's an evergreen and even when it snows stays green, Only time it turns brown is from drought and it usually takes awhile to recover. But yes Bermuda, Zozia, Centipede etc all are warm season grasses that go dormant (turn brown) in the winter. It's not until you get into FL that you sea St. Augustine that stay green year round. Being in the transition zone where you lives can be a PITA when it comes to lawns. Too hot for cool season and not warm enough for the year round warm season grasses to stay green. Still looks dead. Even if survives this, it will not survive the next winter. More cold hardy palms like Sabal Minor would be much better option. Lawns are pretty wasteful when you come to think about it. I’d rather grow a palm forest than a field of bermuda grass. Yep, same thing in Southern Ontario. The turfgrasses most commonly used in lawn mixtures are Kentucky bluegrass, fine fescue and perennial ryegrass. Turns brown from the heat and dry in July/August and usually turns brown from the cold in December. Chamaerops should be almost bulletproof for you. But I wouldn't take a shotgun to it. 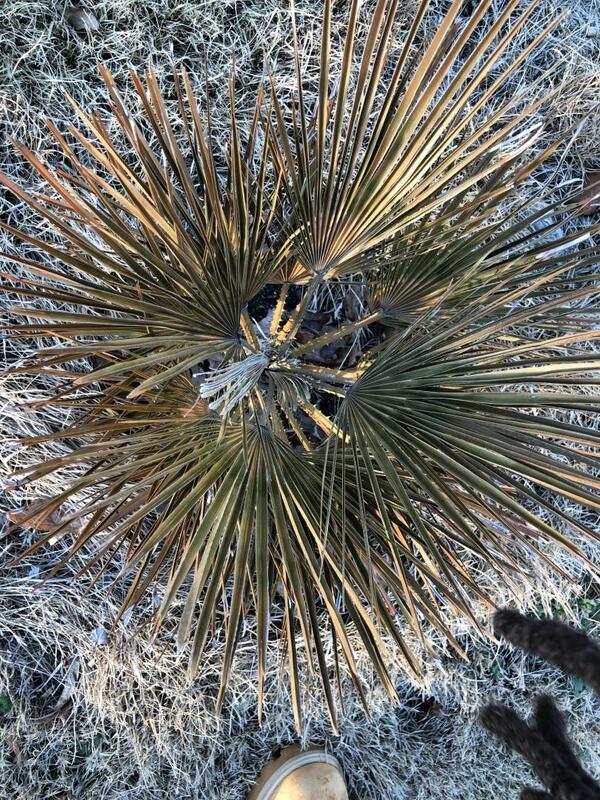 Here is what my Mediterranean Fan Palm looks like at the end of every winter in the Richmond area (unprotected). It is still alive, yes, but gets REALLY beat up, a very bad winter would take it out for sure (I am shocked that it did not die last Winter, which was a bad one). 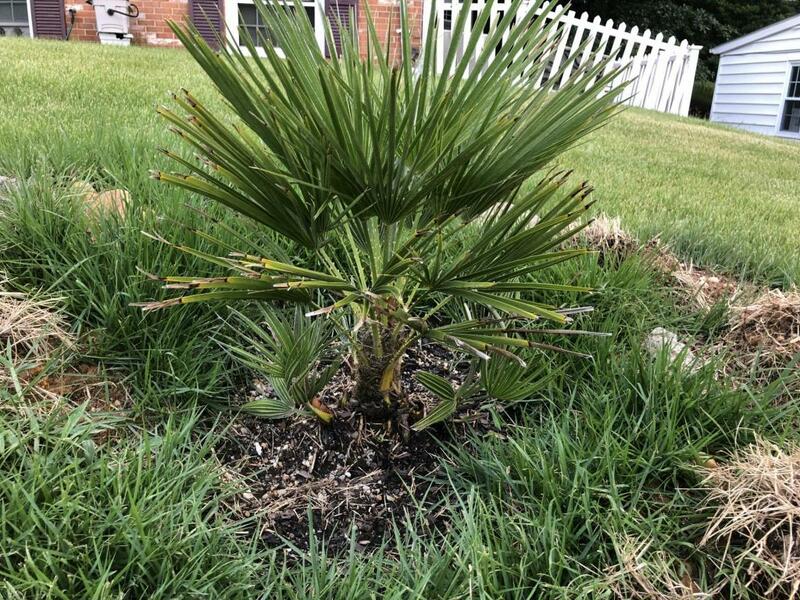 I stopped protecting it because I was going to replace it with something else one year and then it just kept coming back from the trunk so I have left it alone since, I only trim the dead fronds off in the Spring. I would apply the copper fungicide when you get a warm spell with lows above freezing (at least how I used it). Now I use hydrogen peroxide if any of my palms are badly damaged (if the spear gets hurt). I’ve not heard of people applying peroxide until recently. Do you dilute it? yup, removing the bermuda lawn was the first thing I did when I bought my place. 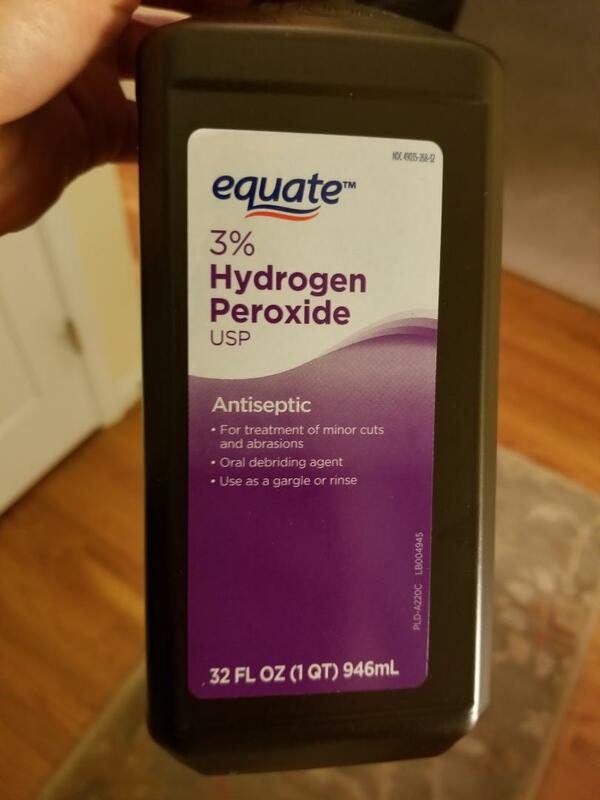 I normally buy 3% hydrogen peroxide and pour small amounts down the spear if it is brown while making sure to cover all of it to the center of the crown. A lot of the time you'll hear a fizzing noise. Remeber that when you pour stuff down the spear it will sit in there just like water and can freeze, which is why it is important to make sure it won't freeze for a day or two after.